My friend Diego, a Providence musician, commissioned me to design and print the cover for his album. 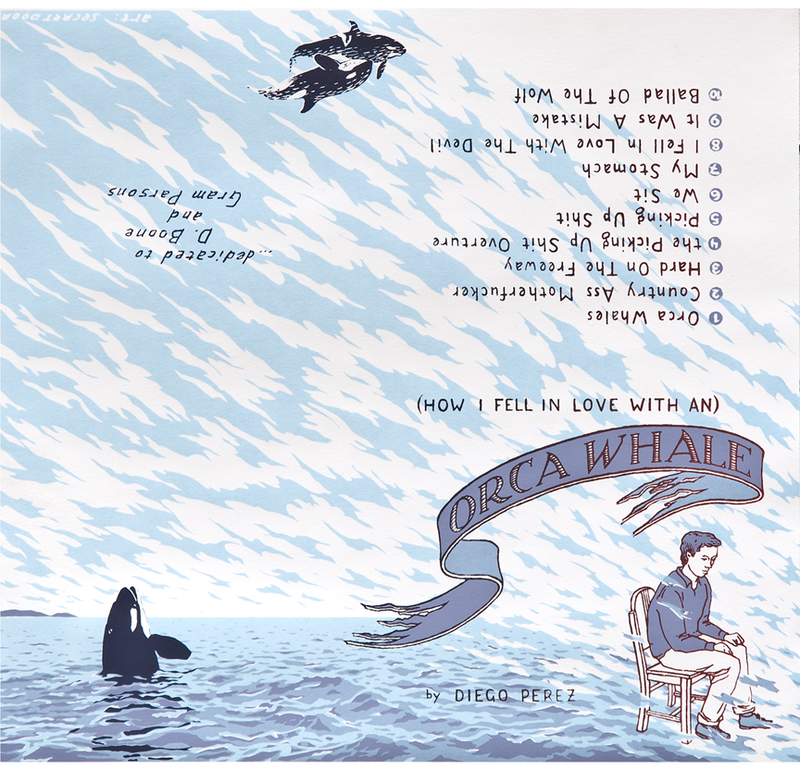 It folds up to hold the CD and a booklet: the boy in the chair is on the front, and the whale breaching is on the back. The dedication and track list are on the inside. The orca whales are based on photos from National Geographic (where else?). All the wave and cloud shapes are insanely tiny rubylith cut-outs. Of course. Yeah!